Once again I set my intention for the journey to Chief Wind in His Shoes to meet with him in spirit and listen to his teachings that he wishes to bring to the world; to those waking up to their place in the hoop of life. 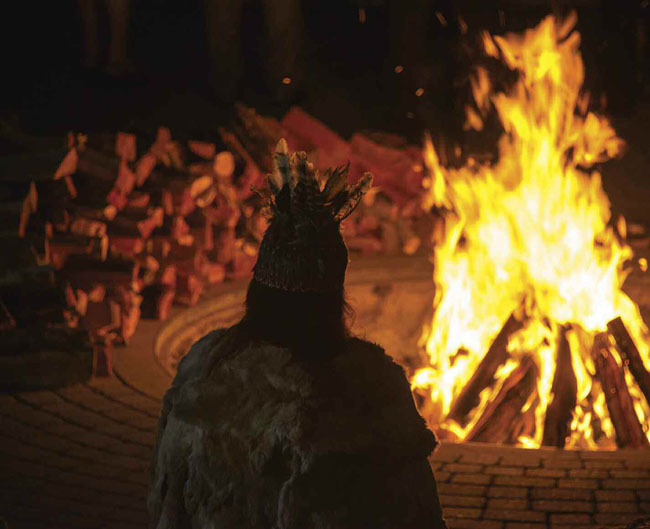 In my ceremony I prepare to journey the shamanic way with prayer, calling the six directions, smudging, and setting my intention for spirit walking. As is my usual way I walk, in the middle world, to the shaman tree in my yard. The shaman tree embodies the path to the lower world, the middle world, and the upper world. It is a magnificent tree and place in ordinary reality where ceremony is held, where prayers are said and given to Wankan Tanka (The Great Mystery) and that also lives energetically within me as a shamanic practitioner. I am honored to have this sacred relationship with the shaman tree. And so it is in this way that the journey begins. I travel with my power animal and we climb the shaman tree to the tops of the branches where we fly together into the upper world. I fly swiftly into the past over great and vast landscapes until I come to Sedona, to the desert, to the fire where Chief Wind in His Shoes sits with the peace pipe awaiting me for this sacred ceremony. I take my place on the sand in the fire circle and look out over the land to the horizon. It is night now and we sit in the glow of the fire and the luminosity from the night sky and glowing stars from this place in the side of the butte’s shallow cave space. We pass the pipe and send our prayers, intentions and longings up to Great Spirit on the smoke of the Kinnick-Kinnick. As I sit in reflection Chief Wind in His Shoes begins to speak as he gazes out over the navy blue sky peppered starlight pin holes. He speaks to me in this stance and says, “Mother earth is on her own path; her own journey and at this time she is moving through a transformational process of ascension. She is ascending more and more and more and more light shines to her, through her. We are ascending with her and more and more light shines to us and through us. Chief Wind in His Shoes begins to blow on the fire and adds more sticks and logs and the blaze of the fire begins to get stronger until it is roaring; the flames now reaching higher and higher as if trying to meet the stars. The fire burns in this way for a while and we watch it together in silence. Watching the flames and contemplating in the glow of the fire. In the book Standing in the Fire, the author speaks eloquently of the skills of the fire tender. Larry Dressler’s writing shares about the qualities and skills of the fire tender and in his book we begin to understand how fire as a metaphor can become a great teacher in our lives. Dressler speaks of how fire tenders see every day as an opportunity to bring the fullness of themselves to the efforts of positive change. They commit to a life long journey of self-understanding. They don’t aspire to a state of perfection but rather their goal is to bring their full, most conscious and deliberate selves to each interaction in order to serve as an instrument of positive change both within themselves and in the world. The gift of developing our own skills of inner fire tending is that each time we bring the fullness of ourselves to our life, growth, healing and to the work of positive change in the world both our self and the world are transformed. The fire tender knows of the fire and its nature; the blaze, the ember, and the steady flamed heat found in the center of the burn. Chief Wind in His Shoes invites you to become your own fire tender. His words and teaching ask that you learn to stand in the heat until you have gleaned the skill to dampen it into balance, to fan the flame of the fire for life energy, and to know how to feed the fire for balance in your energy, emotions, life circumstances and relationships both with self and others. Welcome the mastery of tending your inner fire so that it builds and burns and balances like a dance, in a way that brings balanced passion, creative forces and the long and steady burn that fuels evenly and calmly as you move through your life’s experiences. How does one balance the blaze? “By becoming self-responsible, chopping our own wood, taking care of the quality and balance of the flames within you and being aware of what fuels one’s thoughts, feelings, actions and beliefs. The flames represent your life force. The flames represent the light within you. The flames represent your passion. The flames represent the breath. 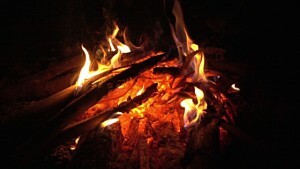 Fire is the element of Hot and all of the states that hot includes. Fire is your teacher now. Become the skilled fire tender!